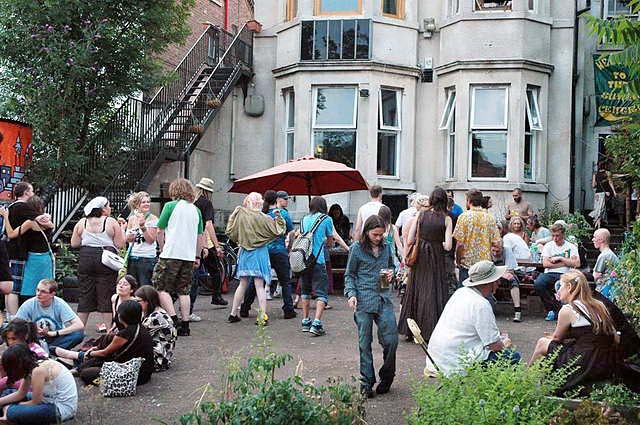 The Sumac Centre is a volunteer-run social & community space based in Forest Fields, Nottingham. Established in 2001, the Sumac has been a hub for many people over the years. Information about our history can be found here. We have a regular communal meal called People’s Kitchen on Saturday evenings. We also host the Forest Fields Social Club, a bar which often opens on Fridays and Saturdays from 7pm – 11pm. It is advised to check The Sumac Centre Facebook Group, or the Events Diary, before traveling from afar. 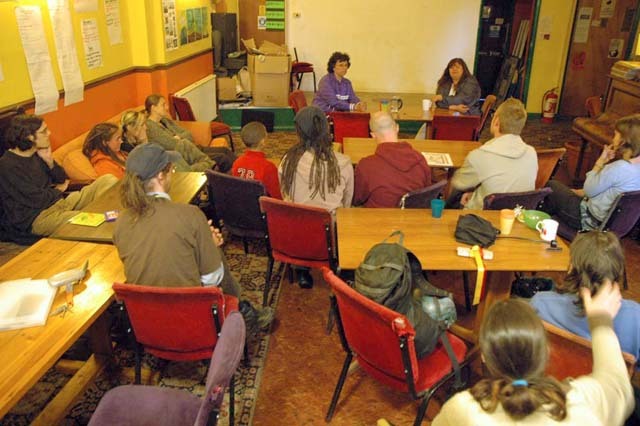 The Sumac also provides resources and a meeting space for groups and individuals working to promote social justice, environmental awareness, peace, and animal rights. 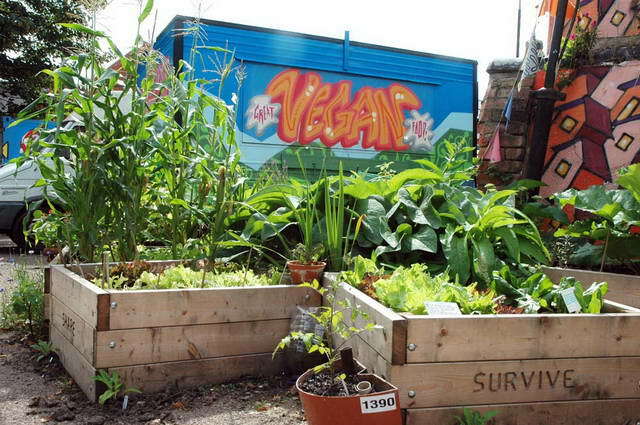 We support community resistance projects, as well as being the home to Nottingham Animal Rights and Veggies Catering Campaign. The space is sometimes used for music events, film showings and sales in order to raise money and awareness. We organise co-operatively, without managers or bosses, and all volunteers have a say in how the centre is run. Open organising meetings are held on the first Monday of every month – currently postponed to the 2nd Saturday, and operate by consensus. Our aim is to provide a safer space for local people to meet other socially conscious individuals in a relaxed and friendly environment. To find out what’s going on check subscribe to the Sumac News mailing list or join the The Sumac Centre Facebook group – like Sumac itself this is a d-i-y space, so may not be regularly moderated . To organise events and activities at Sumac send your proposal by email -here- or see the event submission guidelines.